Mountain faces change more rapidly than the Porsche 911. This new 922-generation 911 is the latest change to the famous Porsche’s styling and it’s probably the biggest change we’ve seen in a long time, though you wouldn’t know it from the outside. There are a few updates that you can use to spot the 922-gen car from its predecessors, such as the new hood and flush door handles, but they’re subtle. However, it’s still a great looking, iconic sports car and one that looks even better in person than it does in photos. Personally, I’m a big Porsche fan, especially the 911. How can you not love a Porsche 911, though? It’s always been one of the very best sports cars on the planet, if not the very best. And this new one could very well be the best of them all and we actually expect it to be. Despite what many Porsche enthusiasts might claim, each generation of 911 has gotten significantly better, unlike some other famous sports cars (*cough* M3 *cough*). This new Porsche 911 gets a revised turbocharged flat-six to start, making 443 hp. 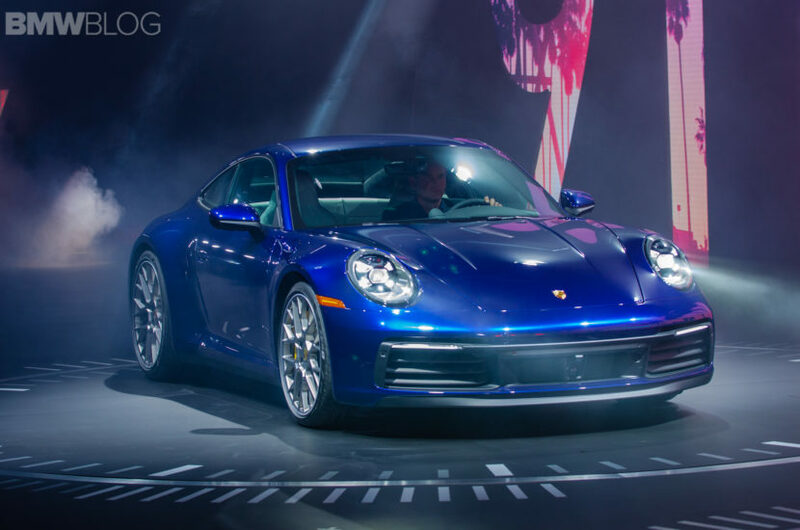 That’s not the base engine, though, as only Carrera S models will be available at launch. Still, the Carrera S is the most commonly bought 911, so it’s the engine that matters. 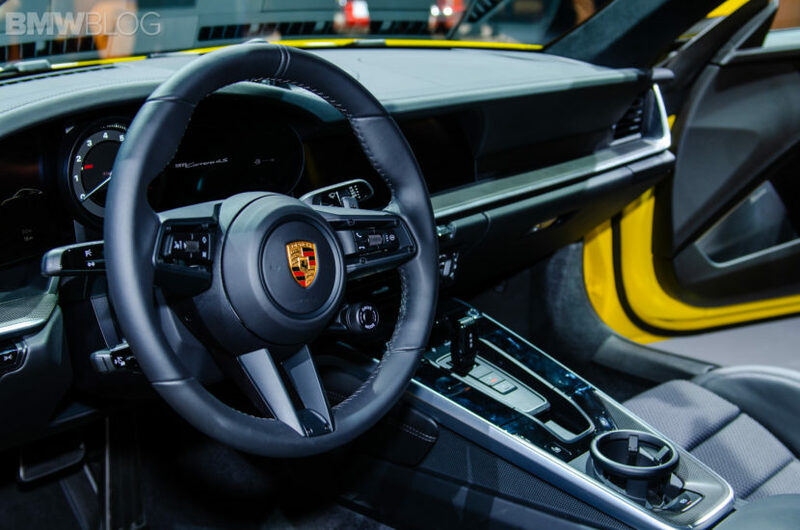 Paired to that engine will be one of two gearboxes; either seven-speed manual or, more likely an all-new eight-speed dual-clutch PDK. The latter of which is what’s seen in the photos, with its little toggle switch gear lever. One really cool fact about the new Porsche 911 is that all of them get the wider body. 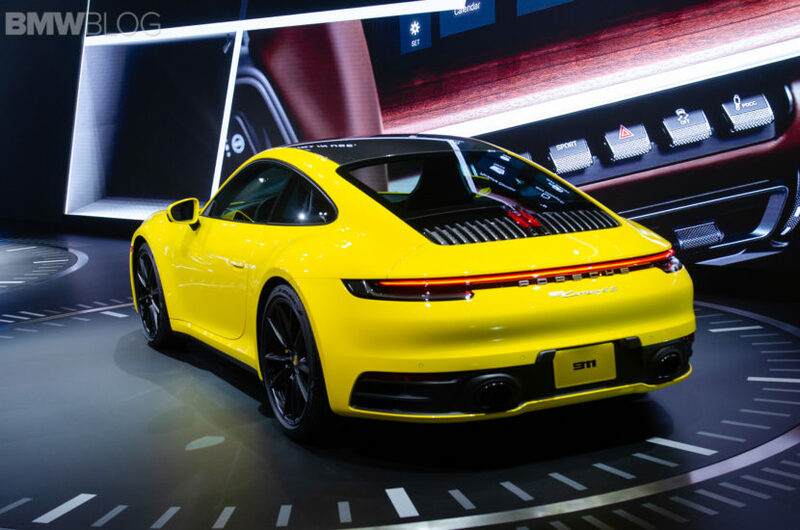 With the previous 991-generation car, only all-wheel drive Carrera 4 models got the wider body style and it was one that all enthusiasts liked, as it looked sportier and sexier. Now, they all get the sportier body. 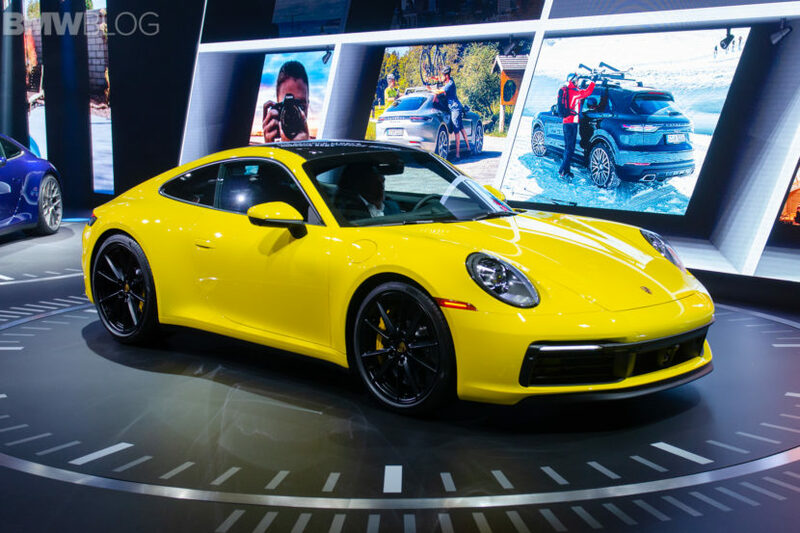 The Porsche 911 is the quintessential sports car and always the car to beat in the segment. This one should be no different.